Do you want to experience what unlimited luxury feels like? Welcome to Dallas Airport Transfer, a chauffeuring and hired limousine service brought to you by SelectDFW. Dallas Airport Transfer guarantees that you will experience the best of luxury when you travel with us to the airport. You have a courteous uniformed chauffeur to greet you, welcome you into the vehicle you have chosen and assist you with your luggage. We also make provisions to fulfill any requests you may have or any arrangements you'd like us to make for a comfortable trip. 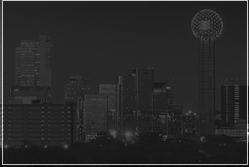 Yes, with Dallas Airport Transportation, your requirements are taken care of. When you are seated in a limousine from Dallas (DFW) Airport Transportation, you are seated in the lap of luxury. We try our best to make you comfortable; it makes you feel like you're on a cloud. Whether you want to enjoy some soothing music or you want to enjoy a few moments of peace and quiet, we make provisions for you at Dallas Airport Transfer. The interiors and exteriors of our limousines are plush and well maintained; this only shows how important it is for us to provide you with luxury. We also ensure that the vehicles we use to chauffeur you are always serviced to be in a tip top condition because your safety is very important to us.